What a charmer she is! 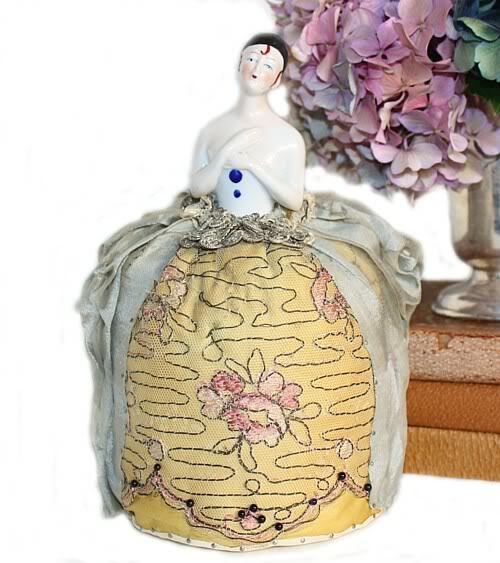 Fantastic collectible Antique Porcelain Half Doll Pierette, elegantly gowned for a ball, she is just exquisite. 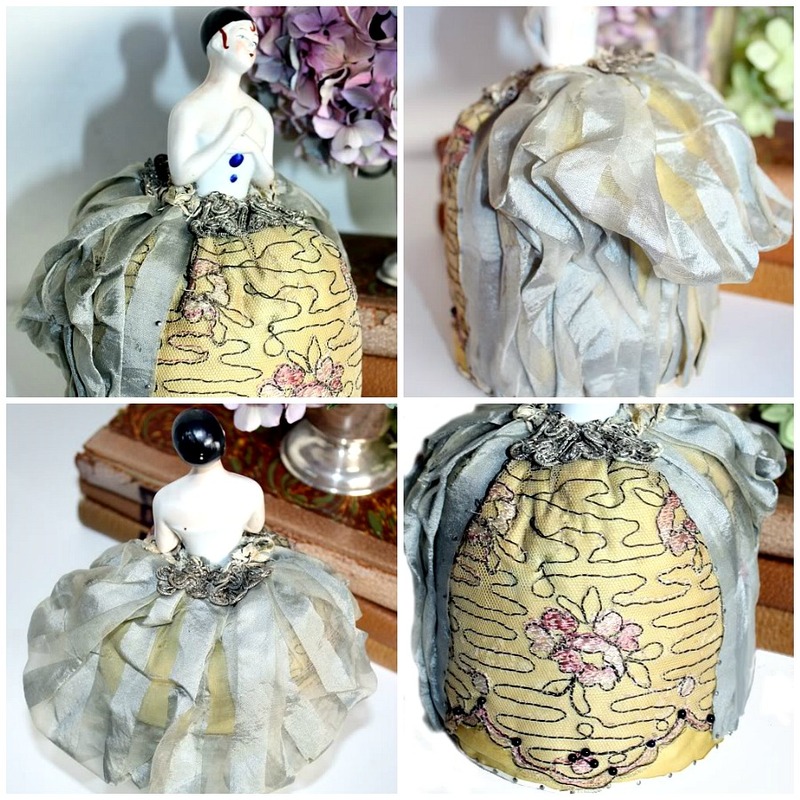 Sure to make everyone fall in love with her, in her golden Silk Skirt, which is accented with hand embroidered Gold French Bouillon Thread embroidery and Pink Roses on net, then covered with a sheer French Blue bustle in the back. Her waist is embellished with French Silver Bouillomn woven Ribbon, sure to turn heads. 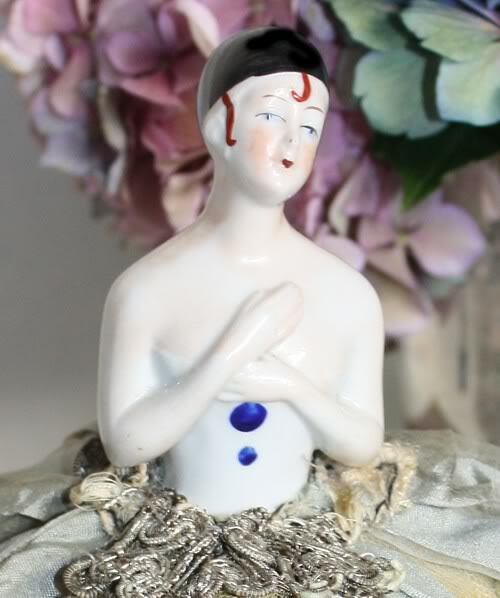 Her face is hand painted, three tendrils hair peek out of her black cap, her white bodice has two painted blue pompoms. She is in lovely condition. At one time her original owner restuffed her cushion a bit, adding filler to the sawdust base. A lovely piece for your collection. There is shredding of the sheer silk chiffon bustle, a few of the bouillon embroidery threads have come loose as shown, and the silk embroidered side pieces at her waist are shredding. She's perfectly imperfect.